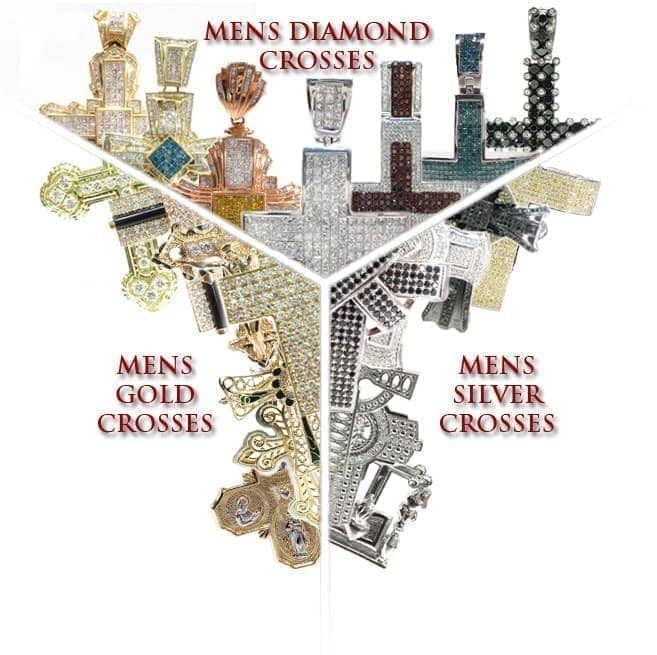 In this section you will find a concise history of Hip Hop Crosses, expressed through the description of four pieces from our extensive hip hop jewelry repertoire. If you've yet to truly appreciate Hip Hop Crosses for what they are, then this will convert you for sure. 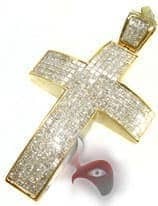 In hip hop jewelry a simple cross can be adorned with anything from snakes and skulls to guns and shields. This Hip Hop Cross is an example of such a combination, and shows why pieces like this are referred to as "hip hop". You simply cant mix eagles with Christianity anywhere else. 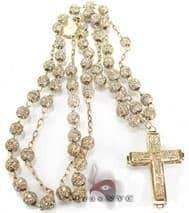 There was a time when rosaries were modest, inexpensive pieces, existing solely for religious purposes. But hip hop jewelry has re-imagined them, essentially developing a combination of the Hip Hop Cross and chain together in one piece. 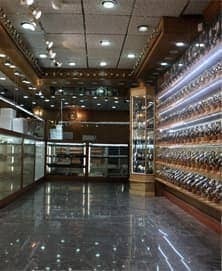 They are now considered to be the best way to get detailed artistic form out of simply diamond jewelry. 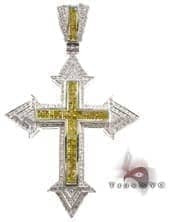 This Canary Nova Cross turned out to be a big hit for us, sparking a new style in Hip Hop Crosses. The points at the edge are a new twist on the old standard cross - not too loud but new and interesting. 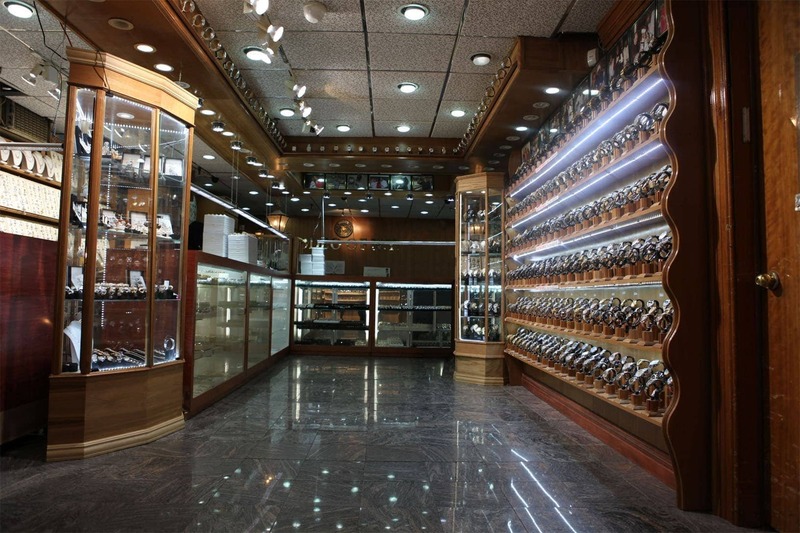 This style of cross, introduced to the world by TraxNYC, became known as the Spartan Cross.